Bidet Overview The Feel Fresh HI-1000/1 cold water bidet uses the same high quality parts as our luxury electric bidets. The Feel Fresh HI-1000/1 is designed to promote conveniences and cleanness. 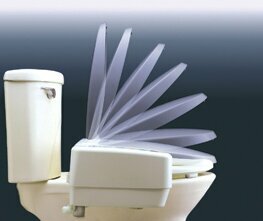 Health Benefits Research reveals that Bidet's help with: Hemorrhoids, Diarrhea, Rashes, Urinary Infections, Vaginitis, Surgical Patients, Cancer Patients, and Elderly. Installation Easy to Install in less than a half-hour. How-to-Buy Click Here: To review easy steps to select the right Bidet for your Toilet. 1-Year Extended Warranty HomeTech Industries (the manufacturer) warrants its products to be free from manufacturing defects under normal use and service for a period of one (1) year from date of purchase to the original purchaser. Comfort Clean gives you an additional (1) one year extended warranty absolutely free. Twin spray nozzles provide different and superior cleaning patterns. Water spray and temperature is adjustable to your individual comfort. 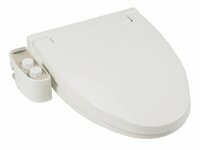 Soft close lid and seat provide a quiet close every time without the slamming noise. Hawaii or Alaska Shipping Explanation:. All shipments to Hawaii & Alaska must be shipped by air at a cost of $70.00. Comfort Clean will discount $20.00 of the shipping cost. If you purchase more than 4-Units you can receive a substantial price discount. Call Us! 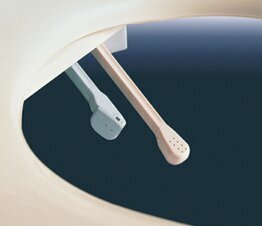 Comfort Clean's Bidet manufacturer is HomeTech Industries. HomeTech Industries is the leader in customer service with US facilities to meet all your service needs.